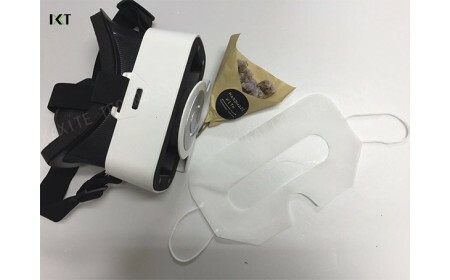 Protective Hygiene Non-woven Eye Mask is used to make the VR glasses clean and avoid cross infection. No matter you are a video game player, a movie lover or an industrial designer, you must have learnt a lot of VR(Virtual Reality). Many media reports 2016 as the first year of VR. At present, the steam VR platform has been able to experience the virtual reality game through vive HTC. Google has invested $0.54 billion in the virtual reality company Magic Leap. It is said that Apple and Facebook also formed a large team composed of virtual reality and augment reality experts to compete with the other companies in this new, high tech field. Even famous director Spielberg declared that he would produce a film about family cooperating with VR company. 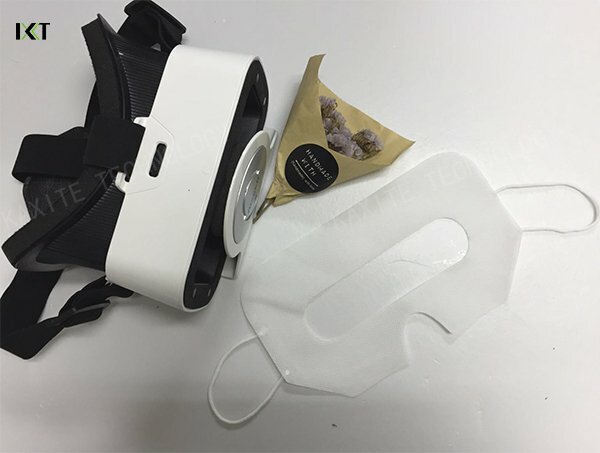 VR technology can be widely used in urban planing, interior design, industrial simulation, monuments restoration, road and bridge design, real estate sales, tourism, education, water conservancy and electric power, geological disasters, education and training and many other fields, to provide feasible solutions. And the video game is the most eagerly awaited application now. Not long ago, a video game company, Valve, released a promotional video of its VR: Steam VR. In this footage, players are invited to wear VR equipment and experience all kinds of game, and other people can see their experience in "another world" in a variety of events on the screen. Everyone no matter player or viewer say it's really awesome. 1. Breathable, soft, comfortable, lightweight and low cost. 3. Available in different colors, size and fabric thickness.